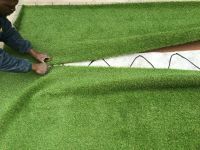 Synthetic grass glue is a polyurethane adhesive used when seaming joints, whilst laying synthetic lawns and sports flooring. 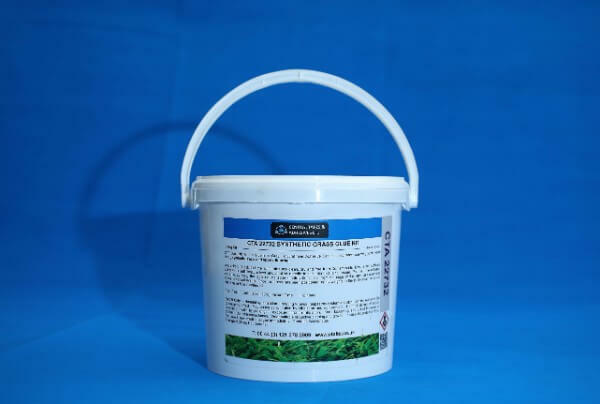 Our range of artificial lawn adhesives are suitable for all the different types of “fake grass”, from the replacement of domestic lawns, to durable sports and playground surfaces. 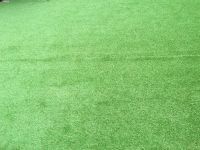 This type of artificial grass is more commonly called “astroturf”. 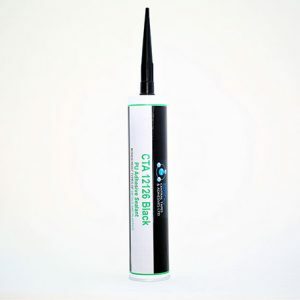 All of our products will bond the surfaces to the jointing tape or layer of weed control. 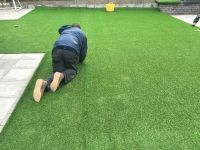 Choose the right product for you by considering the size of the lawn and length of joints, as well as the personal preference of the fitter; do they prefer to “bead out” from a cartridge or mix and pour from a larger tube? Check that the substrates are clean, dry and free from contaminants. 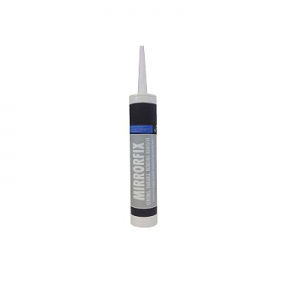 Ensure that sufficient adhesive is applied directly to the intended joint or seam. 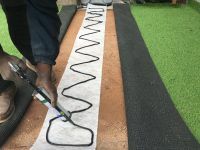 Bead or pour out the synthetic grass adhesive continuously along the tape, leaving approximately 5cm clear from the edge of the tape. Use a serrated trowel to spread evenly. 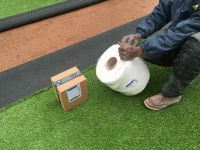 Once the grass has been positioned, apply weights to the joint/seam to ensure that a flat and even surface is achieved. 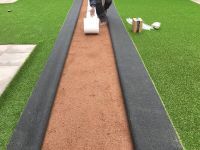 Once the adhesive has cured, you will have a strong and durable joint, which will last for the life of the artificial lawn, artificial turf, astroturf, sports flooring or playground surface. 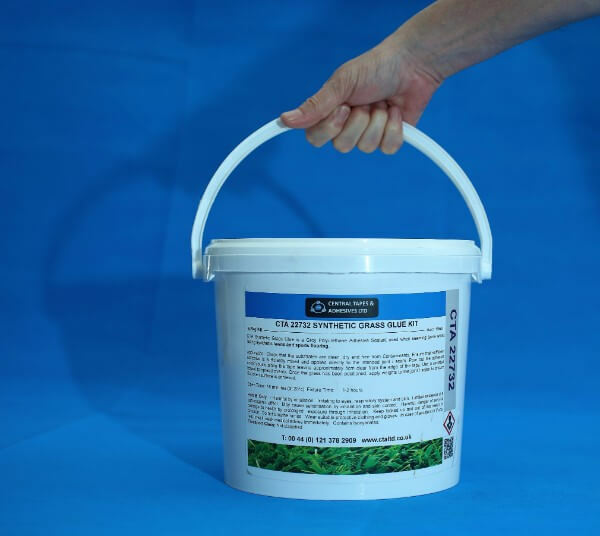 Our synthetic grass glue is available in a 310ml cartridge or a 6.5kg kit. For more information, please contact us. All prices are inclusive of VAT. If you have any questions, don’t hesitate to contact us via the yellow chatbox, fill out our online contact form, email us at sales[email protected] or call us directly on +44 (0) 121 378 2909.